We can’t get around the fact that winter is already dawning upon us again. To some of the readers here, they can relate all too well, as the snow has already begun to fall outside, the temperatures crawling well below the freezing point. Winter is coming. No, winter HAS come. The winter season is not one where you’ll want to get caught in the cold with a style choice that just isn’t up for the job. To help ease the transition from summer to autumn and winter style, we’ve looked at some of the style mistakes you’ll be wanting to avoid – to not catch the cold all too soon. Well, as the name implies, the summer wardrobe is made for summers, with their lighter fabrics and airier dress up choices, whilst the winter is made for thicker materials that prepare you for the wind, the snow and the bitter coldness that is covering the lands. No matter how sudden or gradual the weather is changing in your area, the transitions, there are people who seem to struggle to adapt to it in time. This often leads to those people wearing thinner materials which were great in the summer sun, but provide little to no heat retention when the autumn and winter season truly has arrived. It’s not only the temperature that people fail to adapt to, but also the added wet weather tends to catch people off guard as well. Instead of being caught by this unpleasant surprise and you practically freezing throughout the entire day, you should look to wear thicker fabrics such as wool, flannel and tweed, the perfect companions for the winter. You can be quite limited by the winter weather when wearing fabrics that don’t cope all too well with getting wet. If you instead opt for materials such as suede and leather, that are better choices to keep yourself dry, those are not choices you should be wearing day in and day out during the winter, but they are great alternatives to be worn occasionally. In some cases you might even find yourself stuck in a sudden downpour, and even if you try to avoid the rain throughout the day, a small thing such as a splash from a passing car can make all those careful measures go down the drain. In cases like these, make sure to aftercare your garments in order to maintain their quality and to add longetivity to the product. 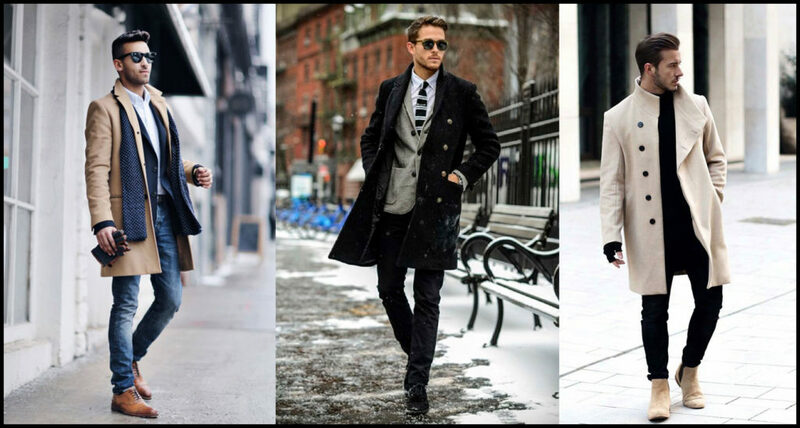 A good quality wool overcoat is a must-have item for the winter season. Don’t try to brave through those bitterly cold mornings and evenings in just your suit, or even a thin coat. This just waits for a cold to catch you. A quality overcoat can last for years, so it’s certainly a worthwhile investment. One thing to note at this point is that if you don’t have a huge range of coats and are likely to wear the same one for the majority of autumn/winter, then opt for a color which will sit well with most of your looks in your wardrobe. 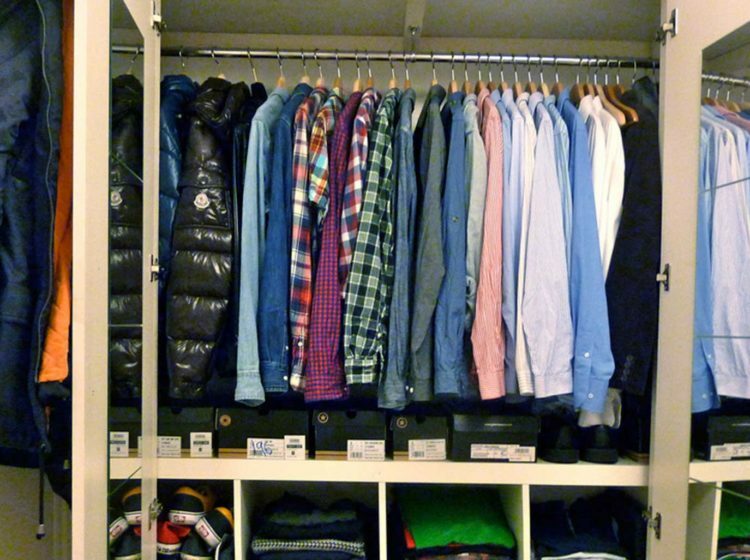 In many cases this will be black or grey colors, but this very much depends on the rest of your wardrobe. Having trousers that don’t sit just right is another thing that you might want to avoid. Trousers that puddle over your shoes won’t look great at any time of the year, but given how wet and muddy it can get, there’s a good chance they could get ruined before you’ve had a chance to have them tailored in winter. You can picture it, as you’ve probably been in that situation before. On the other hand you have the growing trend of leaving the ankles on show which has proven to be a popular look during the warmer months, especially in 2016-17 season, it probably isn’t suited as well to the colder weather. The bare skin will be an easy “target” to the cold winds, creating a draft which will no doubt have you regretting not throwing on a longer pair trousers and socks when you catch a cold faster than you can say “I don’t need a coat”. With these style mistakes to look out for, you should be all set for the winter, without falling for some of them yourself. Remember that your fashion has to be adaptable to its environment in order to ensure that you can keep putting together looks that are great on the eye, but also practical enough to ensure you stay comfortable and warm. If you don’t own a suitable coat for the winter yet, please do feel free to get in touch with us, so we can take your measurements and guide you through the process. If you’re ordering from abroad, please do get in touch with us via our contact form, so we can guide you through the process, to help you take the right measurements and to make sure that you’ll choose the right design and style to compliment your body type.